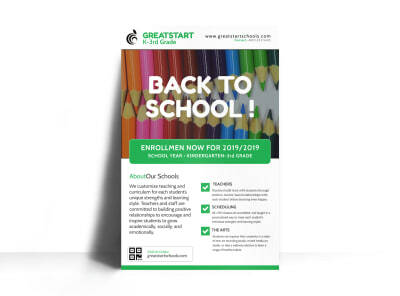 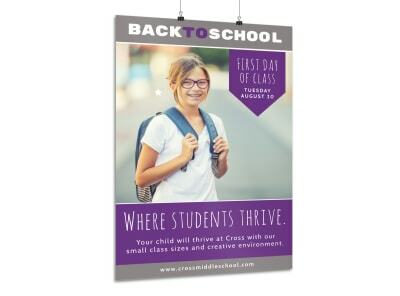 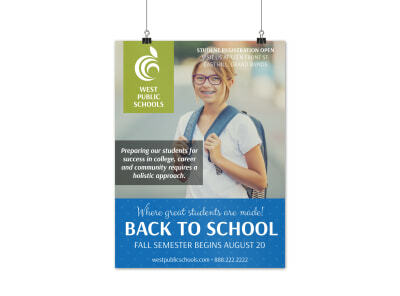 Customize our Back To School Open House Poster Template and more! 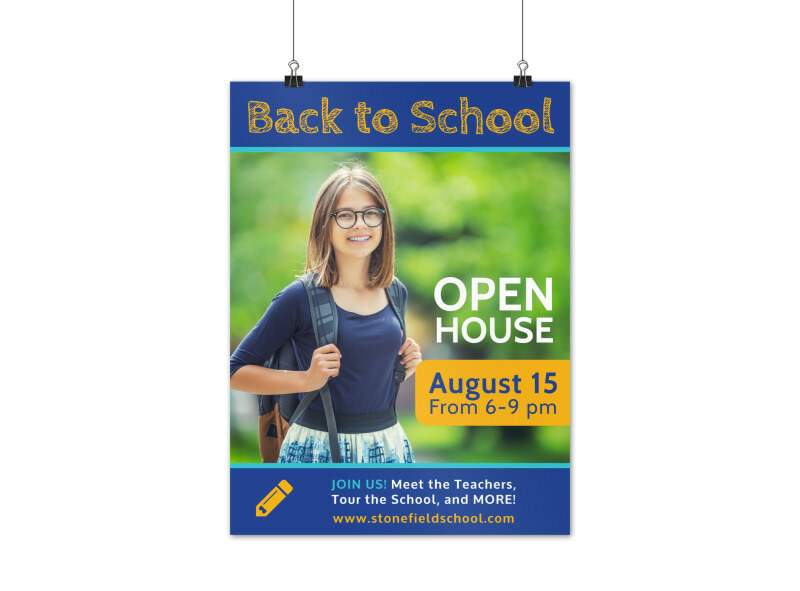 Let families know about your school’s upcoming back to school night open house with this poster you design yourself with our interactive online editor. 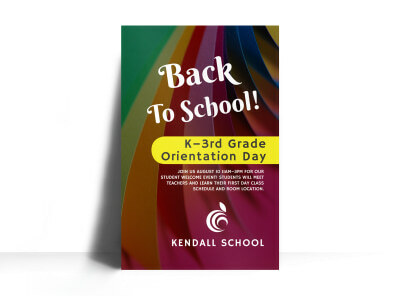 Select your school colors for your color theme, add a picture of your school’s mascot and slogan, and insert catchy text and images to entice families to show up. 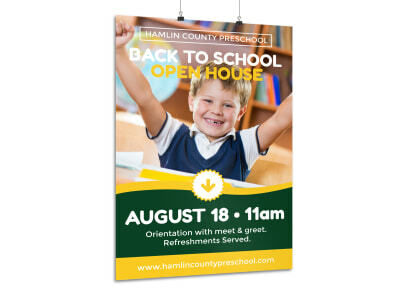 Design your open house poster today.